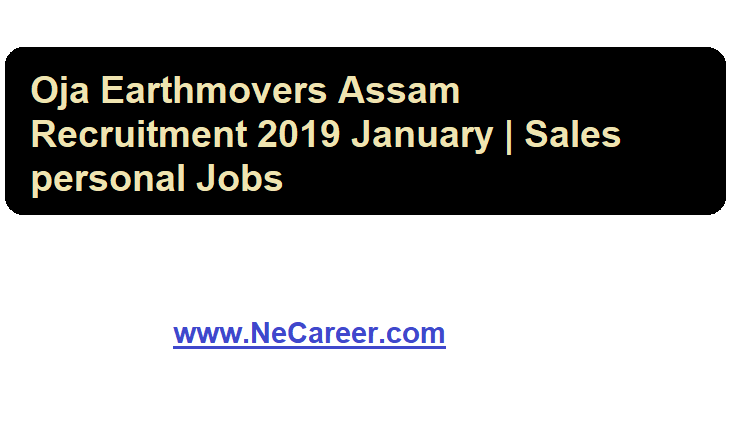 Oja Earthmovers JCB Dealership Assam Recruitment 2019 January :- Hello everyone. 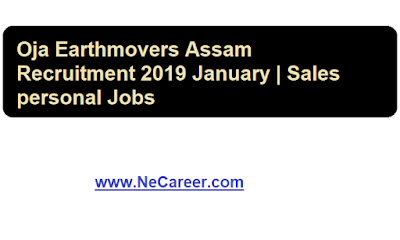 Oja Earthmovers a leading JCB Dealership operating in Assam require Sales personal for JCB Product in a recnt recruitment published on January 2019. Candidate should be Diploma in Mechanical Engineering or Graduate with minimum 5 to 7 years experience in the field of Sales & marketing or Automobiles sector . Should be ready to travel and work hard. Location: Karbi Angbng, Sibsagar, Golaghat, Nagaon, Marigaon, Kamrup Metro, Kamrup Rural, Nalbari, Barpeta, Kokrajhar. Candidate should be Diploma in Mechanical engineering or Graduate with minimum 1 to 3 years sales experience in the field of Sales & marketing or automobiles sector. Should be ready to travel and work hard. Candidate should be graduate with min. 1 year experience in back office sales. Salary best in the Industry. The candidate must be fluent in Assamese, Hindi and English, Salary negotiable.